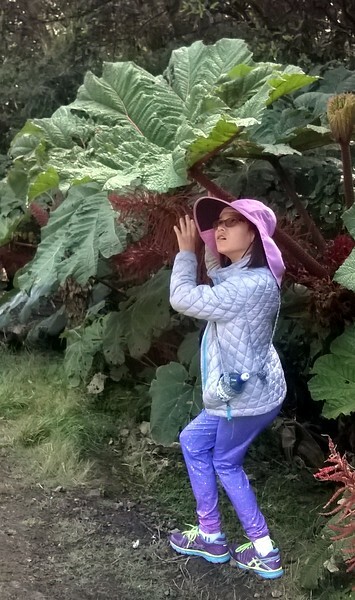 On the way up to Poas Volcano. 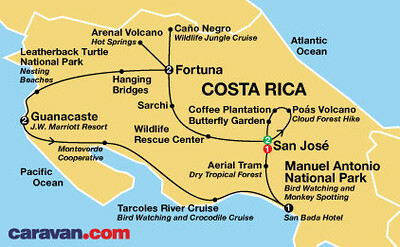 San Jose lies at our feet. Hills are covered with coffee plants. 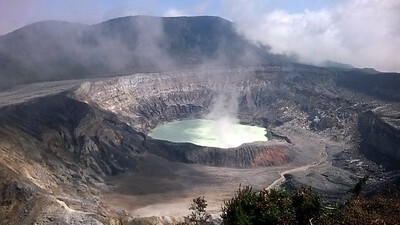 The Poas Volcano's crater. Mist rolling in and steam arising from the crater. 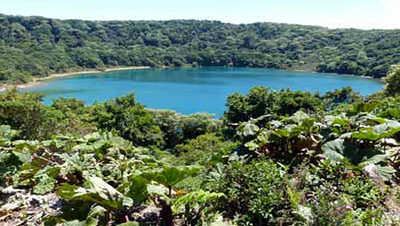 Hike up from the Poas Volcano crater and you will find Botas Lagoon, an inactive crater filled with water. 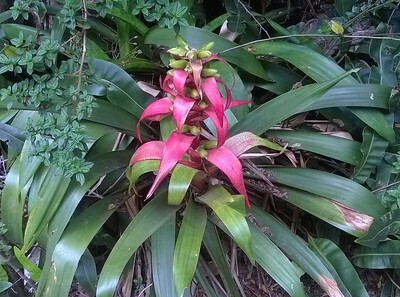 Beautiful flowers and plants in the Poas Volcano area. Rolling hills on our way down from the Poas Volcano. 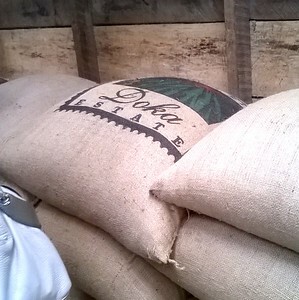 We made a stop at the Doka coffee plantation. 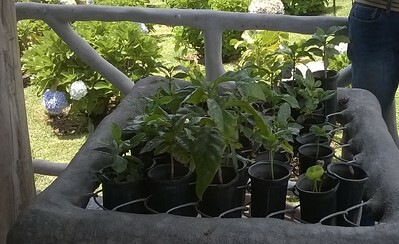 The obstacle course amongst the coffee plants.